I have posted video explanations to all of the math questions in the 2018 December ACT (Form AB05) Test. 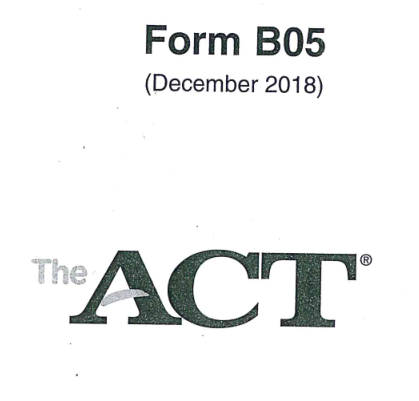 The time frame for the release of 2019 Feb ACT scores (according to ACT) is February 20, 2019–April 5, 2019. They will not be releasing the actual test and your responses to the questions on the test. The Test Information Release service is only available if you take the April, June, or December ACT.